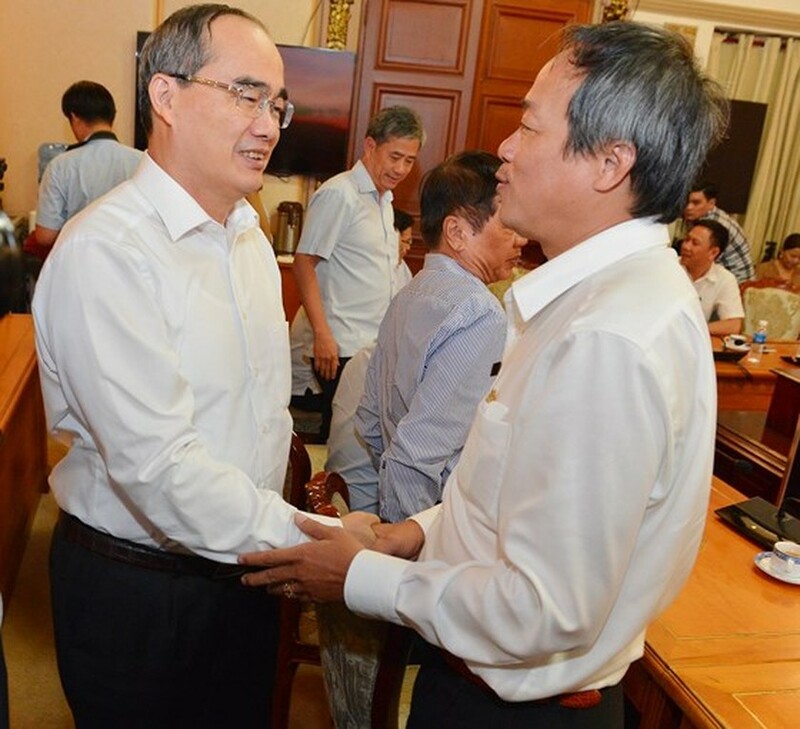 Apart from secret information, the remaining contents about inspection and supervision results must be publicized at HCMC Press Center expected to come into operation on April 30, said secretary of HCMC Party Committee Nguyen Thien Nhan at a meeting with leaders of press agencies in the city yesterday. The center aims to create connectivity and supply information for press agencies to better operate through providing them information transparently and publicly, he added. 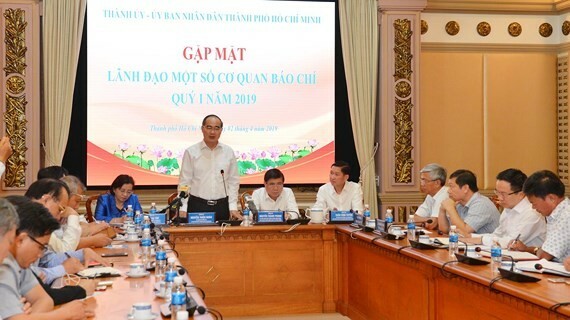 According to him, 2019 is the first year, the standing board of the HCMC Party Committee implements a city-level inspection and supervision program updating data on inspection and supervision results every three months according to the Party and State’s regulations. For the last past, press agencies have positively contributed to efficient implementation of the city’s missions. He affirmed that residents’ feedbacks through channels including the press are very important, hoping that press agencies to report about residents’ displeasure or satisfaction level to operation of Government agencies. Since early this year, HCMC has implemented many new missions focusing on breakthrough solutions on administrative reform, especially building of the process and determining the deadline to solve administrative procedures at the HCMC People’s Committee Office. Districts have recorded residents’ satisfaction with the requirement that at least 40-50 percent of residents will give their opinions instead of 5-10 percent as present. In the first quarter of 2019, the city will give the first Creativity Award so the municipal Party Committee has ordered press agencies to encourage creativity and propagandize against negative issues to contribute in developing the city. Speaking at the meeting, press agency leaders welcomed the city’s set targets and missions especially those in creative movement and administrative reform breakthrough missions. They pledged willingness to side with HCMC in implementing many missions including organization of sociological investigation in administrative reform and propaganda of creative movement. They suggested city leaders to ask agencies and districts to be more open in supplying information for press agencies especially problems of interests in the society. Except public servants’ income increase, reporters have faced barriers in getting information about other aspects of the National Assembly’s Resolution 54. Big and hot issues of the city should be informed sooner than present for press agencies to take the initiative in propaganda making it more efficient. 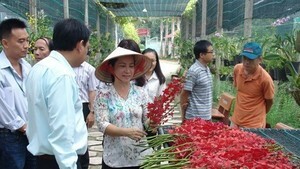 Ms. Than Thi Thu, member of the standing board of the city Party Committee and head of the committee’s Propaganda and Education Board, admitted that the press have met lots of difficulties in accessing information from Government agencies and districts because some of them have been afraid of being in contact with the press. Hence the Propaganda and Education Board will organize training courses to supply key cadres with skills to contact the press and consult the Standing Board on this matter. 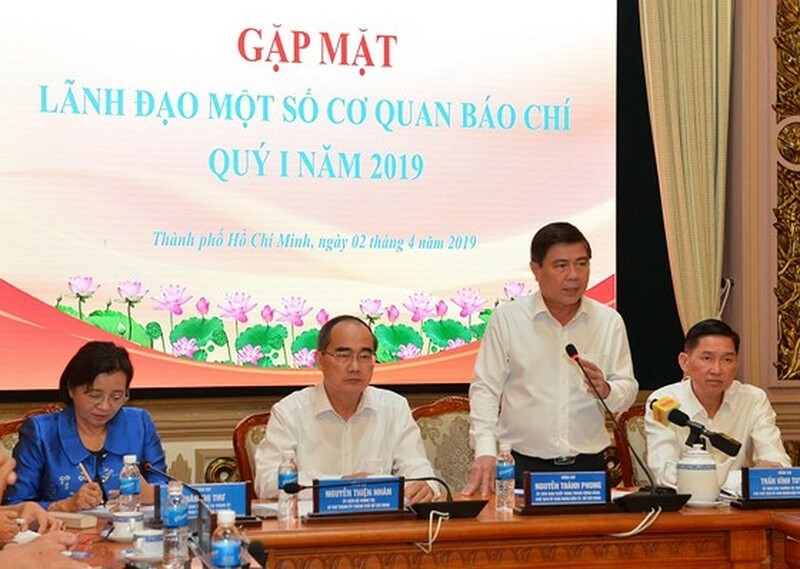 Chairman of HCMC People’s Committee Nguyen Thanh Phong said that HCMC will learn from experience and rectify problems to sufficiently supply information for press agencies. He committed to thinking about the method of supplying information about some problems and inspection conclusions. Through the HCMC Press Center, the city will provide inspection results about violations and solutions to tackle these as per instruction by authorized authorities. Mr. Phong pledged to support press agencies and reporters by working with Fulbright Vietnam University to organize training courses to improve economic knowledge for reporters in the field. In return, the city expects the press to accompany the municipal government in propaganda contributing in efficiently implementing the city’s set targets and missions.